Internship at G.M. Associated Hospital,Lucknow, India. Worked as a Medical Officer of HMG of Nepal in Various Hospitals during the period of 1984 to 1990. Worked as a specialist medical officer in Biratnagar Koshi Zonal Hospital and Bir Hospital,Kathmandu, Nepal during the Period of Jan 1994 t0 dec 1996. Working as a Senior consultant Gastroenterologist in Bir Hospital, Kathmandu since 1999. Working as Professor of Gastro –enterology since November 2008. Worked as Dean ,NAMS during may 2010 to may 2014. 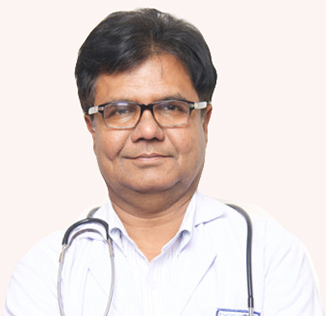 Working as chief consultant physician Gastroenterologist): eleven level first class) since april 2014. MD (Master of Medicine of Degree) in University of Melbourne , ( 1990 – 1993). Merit Scholarship during the Certificate Level of Science. AIDAB – Australia International Development Assistance Bureau Award for Master of Medicine.